<br>Enter the dark and savage lands of the Asharin Empire as you battle to avenge the atrocities the Empire brought upon your tribesmen. 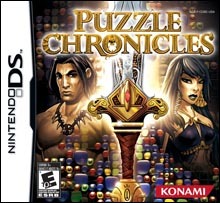 On your challenging quest you will fight fierce beasts and battle hardened warriors with a new puzzle combat mechanics that will test your skills. This new puzzle combat system is based on real time action so players will have to think fast and posses sound strategies to best their opponents. As you progress through the adventure you will level up your character through a diverse skill tree full of magical and physical attacks. You can collect a wide variety of weapons and armor by winning them in combat and purchasing them at vendors. You can also venture into the depths of the many dungeons to search for rare and powerful items. Expanding on the already high replay value of the main storyline, you can challenge your friends to duels, level up your character in Quick Battles, or play Mini-Games to unlock new spells, items, or potions.